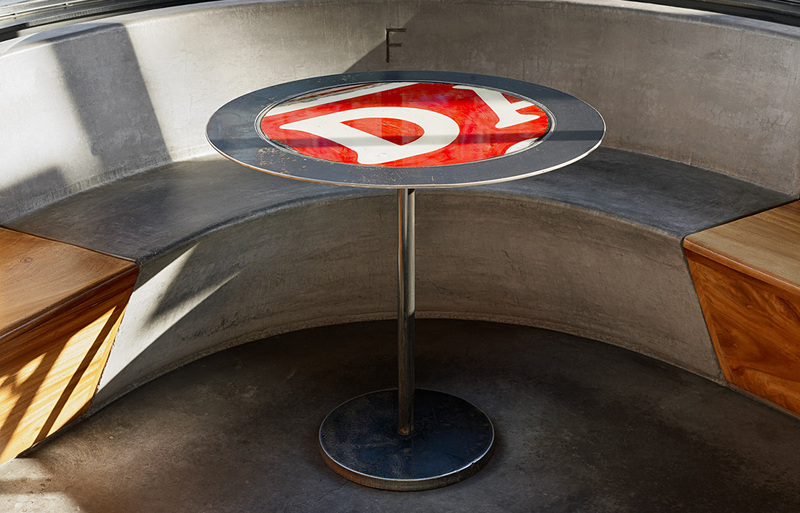 Custom designed for Farina, these tables celebrate the history of place while avoiding the trappings of sappy nostalgia. 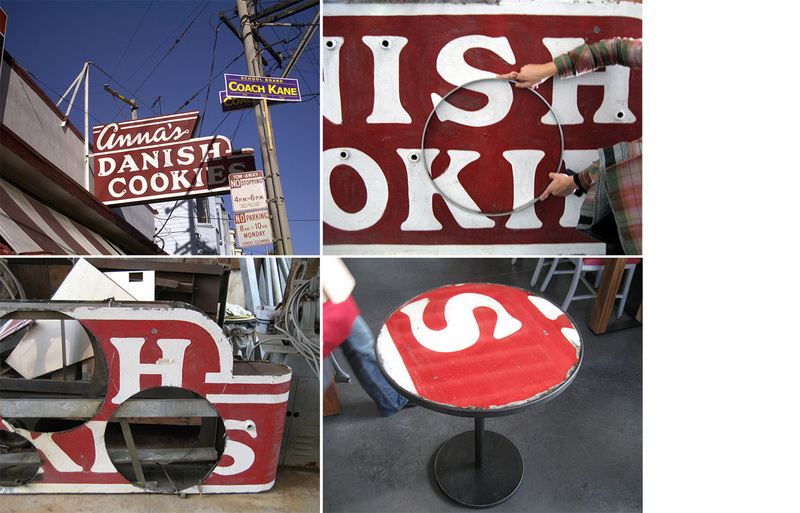 The original 1950ís hand-painted Annaís Danish Cookies building signage, removed during demolition, was salvaged moments before finding home in the dumpster. 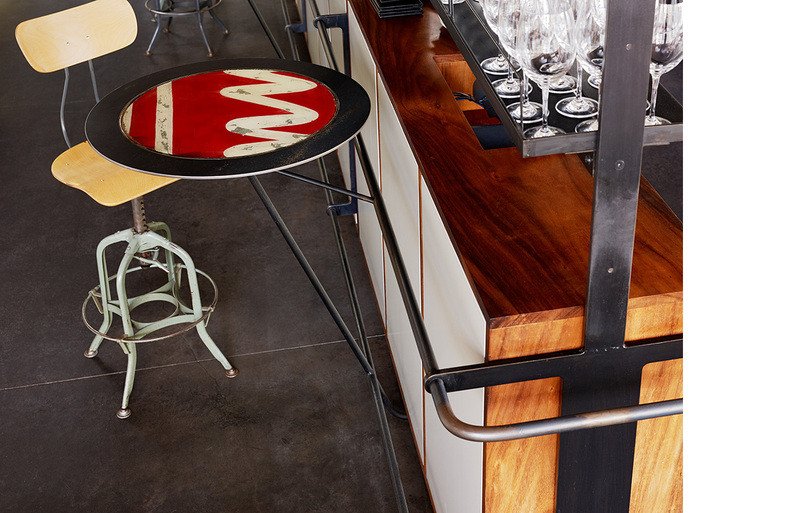 Discs were cut from the surfaces yielding a colorful abstraction of the buildingís formal livelihood. 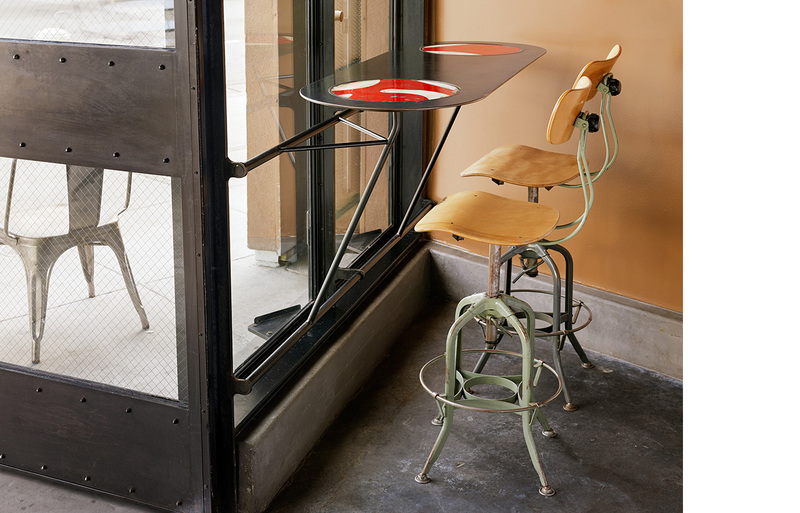 The material was then integrated into custom blackened steel tables and counters and coated with a thin film of epoxy resin.